On my last blog post I wrote that we were offering paper flowers, probably because of all of the gorgeous paper flower backdrops I have been seeing…..
but what I meant to post was we are offering fabric flowers! Which is also becoming a very popular craze. The nice thing about fabric flowers is that you can get them in so many color options and match them very closely to a dress or an accessory in your wedding. 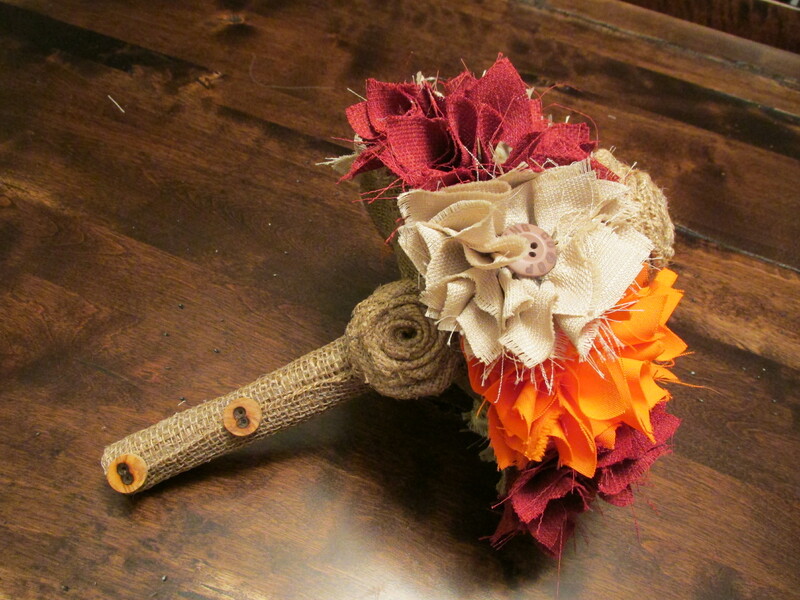 Here is an image of a recent bouquet for the fall made from burlap for all of the rustic fall brides out there.